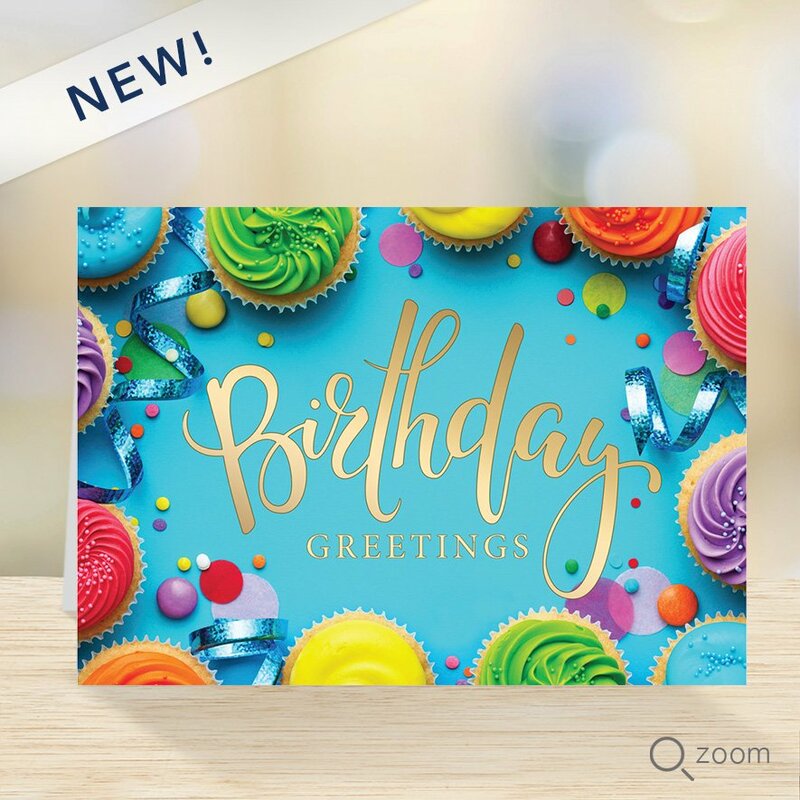 CLASSIC - This joyful card features colorful cupcakes and is enhanced with gold foil stamping. Horizontal card, size 5"x7" with a top fold. Printed on a 12 pt cover stock with a satin aqueous coating and by an FSC certified printer*. 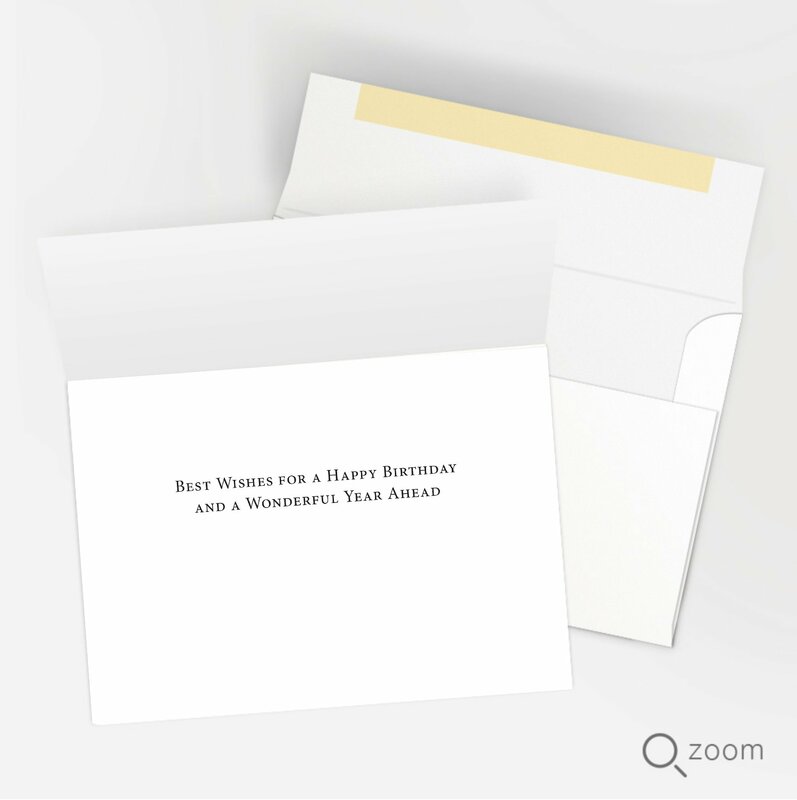 The price per card includes white envelopes with the option to upgrade to foil-lined and/or Peel & Seal® envelopes for .10/.20 each. The inside verse is pre-printed in black as shown and cannot be removed or changed. Made in the USA.